To raise awareness of the new name for its Sit & Go Jackpot games, Party Poker is hosting $5 buy-in “Spins” games with a potential million dollar prize. Like most online poker sites, Party Poker hosts three-handed, hyper turbo Sit & Go games that have a random prize pool multiplier determining how much players will win before the start of each game. Prizes can range from double the buy-in to up to 1,200 times the buy-in, and – unless one of the top prizes is drawn – the game is played with a winner takes all format. Sit & Go Jackpot games are fairly popular, and Party Poker often hosts “special edition” versions of the games to support periodic promotions (see “KO Series Spins” below). 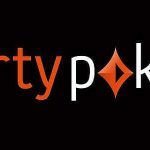 However, Party Poker has taken the decision to rebrand its Sit & Go Jackpot games as “Spins”; and, to raise awareness of the rebranding exercise, is hosting $5 buy-in games with a potential million dollar first prize. To all intents and purposes, regular Spins games are exactly the same as the Sit & Go Jackpot games that preceded them. The buy-ins (from $0.25 to $250) have remained the same, as have the amounts of rake deducted from each game (between 4% and 8%), the probabilities of a certain prize pool multiplier being drawn, and the distribution of the prize pool if one of the top three multipliers is drawn. 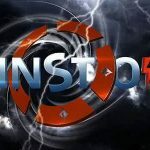 What´s different about the million dollar Spins games is that an extra level has been added to the top of the potential prize pools that represents a 240,000x multiplier of the buy-in. (240,000x rather than 200,000x because if the million dollar prize is drawn, the second and third players in the game each receive $100,000). Players finishing second and third in Million Dollar Spins games when a 120x multiplier and a 1,200x multiplier will also win a prize equivalent to 10% of the first place prize. Interestingly, Party Poker is not unique at the minute for hosting Million Dollar Jackpot Spin & Go games with a $5 buy-in. PokerStars also has a Million Dollar Spin & Go promotion underway with buy-ins of $5. However, by comparing the two sites´ frequency charts, it is easy to determine players are ten times more likely to win a million dollars at Party Poker than at PokerStars (although the probability of drawing a mid-range prize pool multiplier is better at PokerStars). Party Poker´s KO Series – which features 437 progressive knockout tournaments guaranteed for a combined total of $15 million – got underway last Sunday. The series runs until Sunday 17th February when the final day´s schedule includes several events with six-figure guarantees and a $500,000 guaranteed Main Event. The higher buy-in tournaments are being supported by “Added Value” KO Series satellites, plus special edition KO Series Spins games. The KO Series Spins games have a buy-in of just $2.50 and prizes varying between $5 in cash and a KO Series tournament ticket worth $1,050. The tickets can be used to enter any KO Series tournament or satellite – including the big $55 buy-in Main Event Mega-Satellite on the final day of the series that has fifty Main Event seats (each worth $530) added to the prize pool. That could mean an incredible return on investment for a player who wins a $55 ticket in a $2.50 buy-in KO Series Spins game. It is important to note both the million dollar Spins and the KO Series Spins are time-limited promotions. It is not yet known how long the million dollar Spins will remain in the Party Poker lobby, but the KO Series Spins games – and any tickets won from them – will end on 17th February. Therefore, if you want to take your chance of winning a million dollars for an investment of just five bucks, visit Party Poker today.